Research On Religion: "Mark David Hall on Religious Minorities in the U.S. Founding"
Mark David Hall always has something usefully informative to say on the matter. From Tony Gills' excellent podcast here, discussing, among other things, this book by Dr. Hall, et al. Ezra Stiles: "I am a Jacobin"
As he, according to this source, declared in 1793. This is, as I understand, the zeitgeist of late 18th Century revolutionary-republican American political theology. What it has to do with "Christianity" is debatable. When Dr Watts set out in Life he was clearly a Calvinist ...When the Arian Controversy got hold of the Dissenters in the public cause of the Rev. Mr. Pierce of Exeter about 1720: Dr Watts entered the Arian Researches, became plunged as to the real Divinity of J. C, as appears in the follow[ing] Publications of the last 20 years of his Life. But tho' he was an Arian on the Divinity of Christ, yet he never relinquished any of the other evangelical Doctrines, the real vicarious Satisfaction even plenary Atonem[ent], with Justific[ation] by Christs Righteousness &c.—One may perceive the same Thing in Seeds Sermons. The Ruin & Reco[very] retains the Deriv[ation] of Guilt & Corruption from Adam—& this is the Augustinian Notion of Original Sin. Dr Langdon's Plunges have a pretty extensive influence into his whole Theology. HEATHER DIGBY PARTON: "Rise of a right-wing quack: Faux-historian David Barton’s shocking new influence"
... Here’s just one example of his so-called scholarship being debunked by Chris Rodda, the senior researcher for the Military Religious Freedom Foundation, via Media Matters. She challenged Barton’s insistence that Thomas Jefferson dated his presidential papers with the phrase “in the year of our Lord Christ,” which indicated that the notorious theist was really a super-Christian (what with the added “Christ” and all). According to Rodda, the truth is quite different: Jefferson took pains to omit “in the year of our Lord” in his documents, instead using phrases like “in the Christian computation,” and “of the Christian epoch.” Further, according to Rodda, the evidence Barton provided of Jefferson purportedly using the phrase is, in fact, a preprinted form that Jefferson had no input into creating. Jack Balkin: "The Evangelical Origins of the Living Constitution"
... The Evangelical Origins of the Living Constitution (Harvard University Press 2014) is an outstanding addition to the literature on American constitutional development. The book argues that the progressive critique of the Constitution in the early twentieth century that led to the New Deal was presaged and to some extent made possible by earlier social movements of evangelical Christians in the nineteenth century who sought to ban alcohol and lotteries. The idea that the Constitution's practical meaning must adjust to changing social conditions is often associated with the progressive critique of the 1920s and 1930s. But Compton shows that evangelicals made similar moves decades before in order to reshape constitutional understandings and justify government power to ban alcohol and lottery sales. Tara Thompson Strauch wrote an ambitious dissertation with the title, “So Help Me God”: The Constitution, Freedom of Conscience and the American Oath Ritual (January 1, 2013). A critical part of the dissertation, is also available in the book, Religion and the State: Europe and North America in the Seventeenth and Eighteenth Centuries, See here (Ch. 8 – Oaths and Christian Beliefs in the New Nation: 1776 – 1789; pgs. 127 – 142). When the same president [Barack Obama] stood to recite his first oath of office in 2009, it was a symbolic and important event, if a routine one. Forty-four different men had taken this oath of office; some kneeling, some standing, and some on airplanes. The breeze you can feel blowing by is that no president, including George Washington, has factually been described as “kneeling” during the administration of the presidential oath. New Jersey’s liberal constitution still did not remove all religious concerns about oaths. Shortly after the Constitution was approved, Governor William Livingston received a petition similar to the [March 21] 1772 Pennsylvania act concerning the ritual actions of oaths. The General Assembly responded by writing an act titled “An Act for the ease and relief of such persons as are scrupulous of taking an oath with the ceremony of touching and kissing the Book of the Gospels, by allowing that of holding up the hand in lieu thereof” [passed Oct. 1, 1778].<81> The Act noted that until this time “no other [manner] was deemed and admitted legal” which indicates that the colonial government had only allowed the kneeling [kissing] ritual for oath taking rather than raising the right hand.<10> By restricting oath-takers to kneeling [touching] and kissing the gospels, the New Jersey government kept scrupulous Congregationalists, Baptists, Mennonites, Quakers and others [like Dutch Reformers] from political participation without requiring a religious test. The fact that such a petition was sent to the governor indicates that some individuals did choose religious piety at the expense of political action and also underscores the religious nature of oaths for eighteenth-century Americans. 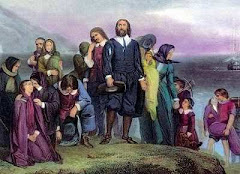 By requiring the English oath ceremony, New Jersey had a de facto religious test regardless of its liberal constitution. Governor Livingston had encouraged the assembly to pass this act. He noted that it was not the wording but the “English Ceremony of kissing the Book” which the petitioners found objectionable and that these citizens should be released from their concern, asking “can it be consistent with sound Policy, or the generous Spirit of our Constitution, to debar an honest Man, and that these citizens should be released from their concern, asking “can it be consistent with sound Policy, or the generous Spirit of our Constitution, to debar an honest Man, for a religious Scruple, from the Privileges of Society, which the most profligate and abandoned are permitted to enjoy in the fullest Latitude?”<83> Livingston recognized that the religious requirement for active citizenship was too high; it kept out those pious individuals who were likely virtuous and moral while allowing “profligate” and morally questionable individuals full access to the political system. Livingston argued that such an arbitrary law made little sense and did not restrict the electorate in a profitable way. After all, Livingston concluded, this change in ritual was “beyond Question altogether formal, and in no Respect essential to its Nature or Solemnity” because an oath ceremony was still required; the options for New Jerseyans were either kneeling [touching] and kissing the Gospels or raising their right hand towards God. Affirmations were restricted to those who could demonstrate that they belonged to a scrupulous sect. Yet, the change did demonstrate that citizens took their oaths and their oath rituals seriously. The need for new state governments allowed Americans the chance to evaluate the relationship between church and state as well as the judiciousness of their religious rituals. As the petitioners in New Jersey demonstrate, when citizens found this relationship lacking they sought solutions. Often, scholars have assumed that the only objections to oath-taking came from the Quakers or smaller religious sects.<84> In this case, however, the concern was less about the oath than about its ritual. 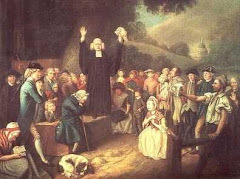 Those who had petitioned the General Assembly appeared not to have been adherents of an obscure religious sect, but rather the Congregationalists and Presbyterians affiliated with Princeton who had moved into the state in increasing numbers in the mid-eighteenth century. Unlike the requests made in other states to allow an affirmation rather than an oath, or to relieve the scrupulous sects, there is no mention made of a specific religious denomination which was oppressed by this ritual. Typically, those requests mentioned the Quakers, Mennonites or Dunkers, who were adamantly against oaths. The act in New Jersey mentioned only that “certain well-disposed persons” were jeopardized by the law. In other words, the strict requirement about the form of the oath punished not only those citizens whose religious beliefs fell outside the bounds of typical English Protestantism, but even impacted citizens from mainstream denominations who were expected to be an active part of this new nation. While Livingston championed allowing all religiously scrupulous citizens access to the political system, the act indicated that the assembly was particularly concerned that Congregationalists and Baptists not be barred from the government. The effect of the act was to allow any number of religiously conscientious individuals full citizenship even if the intention of some (or many) politicians was to open political participation for a few. So what's so "big time"? Well, here's what. The New York and New Jersey legislatures both passed a 1778 statute for the purpose of alleviating The Usual Mode of Administering an Oath for those with conscientious scruples (see here for the NYS statute). The similarity between the two state statutes indicates that both states "had a de facto religious test, " which strongly indicates that when on April 30, 1789, New York State Chancellor Robert R. Livingston administered the presidential oath to the Anglican/Episcopalian churchgoer George Washington according to The Usual Mode of Administering an Oath. Washington touched the holy book with his hand and kissed it when the oath was completed. There was no reported kneeling. The Great Mr Locke saw that it was only here & there a place or Text that needed Illustration or Notes; but that the Idioms, or peculiar manner of Expressions, in different Languages, could not be understood in a literal Translation & therefore required a paraphrase. Accordingly he invented a new Mode of Scripture Commentary, by Paraphrase & Notes. This Mode received great Applause ever since even from those who differed from Mr Lock as to Doctrines & religious principles: but as his Arian & Arminian principles have had a general spread & Reception among the Chh of Engld & Dissenters the half Century past, so Mr Lockes Reputation as a Scripture Commentator has been exceeding high with the public. My readers know that I along with some friends, co-bloggers and and close readers am a (Leo) Strauss interested if not influenced scholar of history. I am not a Straussian because I don't endorse what they do. Still, they have done extremely important, meticulous, thoughtful studies of John Locke and America's Founding era and religion. I think they drop the ball when they start claiming Locke and others like Ben Franklin as secret atheists. Still, there is something to the notion that when orthodoxy is enforced at the point of a gun either literally or metaphorically, the heterodox will speak in code to avoid facing the music. Still, I think it's important to claim only that esoterism for which there is solid evidence. I see, among the notable, relevant figures I chiefly study, more solid evidence of hushed up theistic heterodoxy than secret atheism. I also see more public generic God words that could mean more than one thing to one person than blatant public lying. So when Thomas Jefferson, as a public statesman, indeed as 3rd President of the United States, spoke publicly of "Providence," he could esoterically mean something unitary (in which he truly did devoutly, personally believe) that might convey "Triune" meaning to an orthodox listener who wished to "read that in." When Washington used "Providence" (his favorite God word), we really aren't sure what he meant; though I strongly suspect he meant something unitary. The exoteric God words are generic. And the generic approach permits honesty of personal conviction. Such terms are compatible with secret heterodox esoteric meaning and a more orthodox meaning entrenched forces attempting to control public institutions might wish to read in. Ezra Stiles, notable patriotic preacher of America's Founding era, President of Yale, and personal friend to many of America's "key Founders," was one of the few who later explicitly detailed his secret beliefs in "non-respectable" positions that could have earlier ruined his career and standing in "respectable" society. It seems though, rather than beat around an esoteric bush, often times he just lied. In 1751, believed to be near death and from which he would recover, Stiles gave an orthodox confession to an orthodox confessor while later admitting that not only did he NOT believe Christianity was "divine" at that time, but had never told another human being of his secret "infidelity." Keep in mind, Stiles was an ordained minister [a licensed preacher] at this time. Years later, still a [now an ordained] minister, Stiles eventually became a believer in the divinity of the Christian religion. As I understand, the "converted" Stiles was "orthodox," though he never completed shook his "freethinking" nature. For instance, till his death in 1795, Stiles remained an ardent supporter of the French Revolution, and rationalized the then apparent excesses of the reign of terror. Stiles was a notable, perhaps even a "key" player during America's Founding era. Arguably, he typified the revolutionary-republican, "Whig" political thought and its theology. And his life -- his words and deeds -- makes us question whether that theology and thought meaningfully accords with or derives from traditional orthodox biblical Christianity at all. Brayton: "Beck: Barton is Exporting His Lies"
Confused? Get clarified by Ed Brayton and read about it here. Update: Here is Warren Throckmorton on the matter. Drinks: "5 Colonial-Era Drinks You Should Know"
Colonel Ethan Allen certainly didn't require liquid courage, but a few nights before he and the Green Mountain Boys raided Fort Ticonderoga, that's just what he sought. This drink was a popular, bracing blend of hard cider and rum, and Allen and his men downed plenty of them in the days before their pre-dawn raid of May 1775. Though Allen and his crew usually hung their caps 47 miles south at Bennington, Vermont's Catamount Tavern, their local in the days before the raid was Remington's Tavern in Castleton; its room must have roared with testosterone as 80+ armed ruffians drank in its chambers. Want to drink like they did? It's easy. Drop two ounces of dark rum in a glass, then top with hard cider—preferably one with a touch of residual sweetness. For a modern touch, garnish with a lemon twist. Mary V. Thompson: "WILLIAM LEE & ONEY JUDGE: A LOOK AT GEORGE WASHINGTON & SLAVERY"
To enter into such a compromise with her, as she suggested to you, is totally inadmissable, for reasons that must strike at first view: for however well disposed I might be to a gradual abolition, or even to an entire emancipation of that description of People (if the latter was in itself practicable at this moment) it would neither be politic or just to reward unfaithfulness with a premature preference; and thereby discontent before hand the minds of all her fellow-servants who by their steady attachments are far more deserving than herself of favor. Matthew Stewart: "Nature's God: The Heretical Origins of the American Republic"
Not only the erudite Thomas Jefferson, the wily and elusive Ben Franklin, and the underappreciated Thomas Paine, but also Ethan Allen, the hero of the Green Mountain Boys, and Thomas Young, the forgotten Founder who kicked off the Boston Tea Party—these radicals who founded America set their sights on a revolution of the mind. Derided as “infidels” and “atheists” in their own time, they wanted to liberate us not just from one king but from the tyranny of supernatural religion. Thomas Young. That's a name I know very little about! The book's thesis seems to focus more the "deistic" side of the American Founding. Ben Franklin and Thomas Jefferson were "key Founders" and not strict deists. Rather, they occupied that "in between" position, whatever you want to term it: "Christian-Deism," "theistic rationalism," small u "unitarianism" (as neither Franklin nor Jefferson were members of the Unitarian Church; both, rather, were affiliated with Trinitarian Churches in whose official creeds they did not believe). The others were not "key Founders," but nonetheless notable. * Thomas Paine and Ethan Allen were closer to the "strict deist" side. And Thomas Young ... well I have no idea there ... yet. *At least Allen and Paine were notable. Whether Young is notable, I have to be convinced. When ‘swearing’ in public is OK, and your constitutional duty, too by Scott Bomboy. A government official recently took her oath of office on an [e-reader device, possibly] an Amazon Kindle, leading us to examine the rather unique history of public swearing-in ceremonies as part of one’s constitutional duty. For a Washington Post take on the story continue here. If you.d like to see who all had a hand on the e-reader continue here. Fea: "George Washington and Religious Freedom at the New 'Cornerstone' Blog"
When Washington [under the cover of night darkness and heavy morning fog] retreated [from the August 27, 1776 Battle of Long Island], necessary and wise as that retreat was from the military standpoint, the result was six years of incalculable and undeserved suffering for the people at this end of the Island. The western end was largely Tory in sentiment, Kings County not having signed the Association at all, the Queens County but slowly and unwillingly. It was not so, however, in Suffolk County [Brooklyn]. There the feeling was deep and strong in favor of the patriot cause and had been freely expressed. The battle left its inhabitants cut off from the rest of their fellow sympathizers, the British army and impassable barrier, their own men largely scattered in the confusion following the retreat, and themselves and their property absolutely at the mercy of the enemy, with no possibility of resistance or defence. “I do swear upon the Evangelist of Almighty God, that I hold true and faithful allegiance to his Majesty King George the Third of Great Britain, his heirs and successors; and hold an utter abhorrence of congresses, rebellions &c.; and do promise never to be concerned in any manner with his Majesty’s rebellious subjects in America. So help me God”! A joint meeting was held by the men of two Towns at Sagg on September 1776, to endeavor to secure mitigation of the oath, but to no avail. “What should they do? Take the oath and live? Refuse the oath and die? They took the oath, but in their heart were as devoted to their country and as hostile to their oppressors as before. This is a subject avoided by writers but fidelity to historic truth demands expression. When residents of Sag Harbor and the Hamptons took this oath, as they in fact did, they reasoned thus: Refusing I die with no benefit to my family, friend’s or country’s cause; living, I may help all, ministering to the aged parents, to sick and dying of family and friend, protector of wives, sisters, and children from brutal assaults on their purity and honor. I law and morals, fraud or force annuls a deed or contract, and undue influence voids a will, and why not an oath? To hold an oath procured by force valid, is to hold force the law and above the right, When Col. Gardiner as commissioner, with a company surrounded the house of Col, Jonathan Hedges of Sagg, and at the point of the bayonet compelled the old hero to take the oath, what else could he do? It was their death. They were both known as patriots then and after. If Col. Gardiner did not compel Col. Hedges and others to take the oath, he was liable to th e penalties of martial law, just as Col. Hedges was if he did not take it, At this very time, Nathaniel Gardiner, son of Col. Gardiner, was a surgeon in the American Army, and served as such until the end of the war.”.